Insulating glass is manufactured by bonding two or more layers of glass, with aluminum frame between. Insulating glass can be made by any kinds of glasses, such as tempered glass, coated glass, laminated glass, and art glass and so on. There are aluminum frames between the glass sheets; we sealed the glass with structural adhesives or poly-phenyl adhesives. 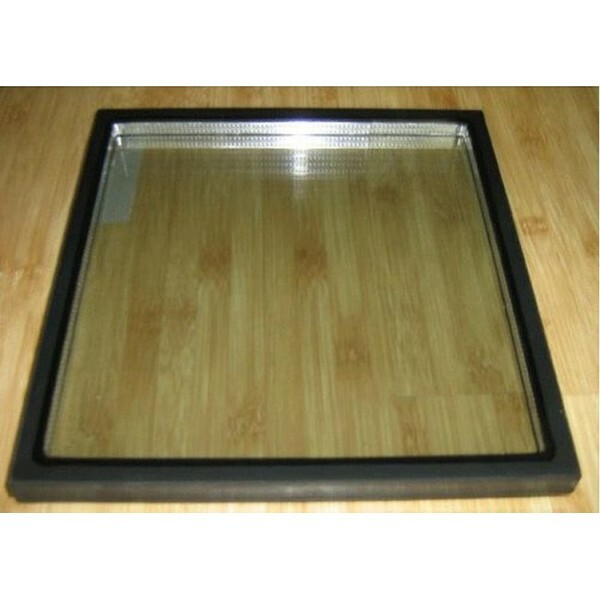 The insulating glass has the characteristics of sound and thermal insulating, since dry air is sealed between the glass sheets. Characteristics Optics prosperity：According to the features of the raw glass used, generally, transmittance rate for visible lights is about 70% to 80%， reflective rate is about 13% to 42%. Thermal prosperity: insulating glass can effectively decrease the U-value, if inert gases filled between the glasses, the effect will be much better. Sound insulating prosperity: general insulating glass can decrease the noise by 30 decibels. If filled with inert gases, the insulating glass can decrease the noise by 15 decibels more. Prosperity of anti-frosted: According the regulation of China, the dew point for the insulating glass should be below - 40℃. Generally, the dew point of insulating glass is 15 ℃ lower than the common glass.